Two protestors hold up a cardboard sign toward oncoming traffic to boycott the construction company’s recent bid. 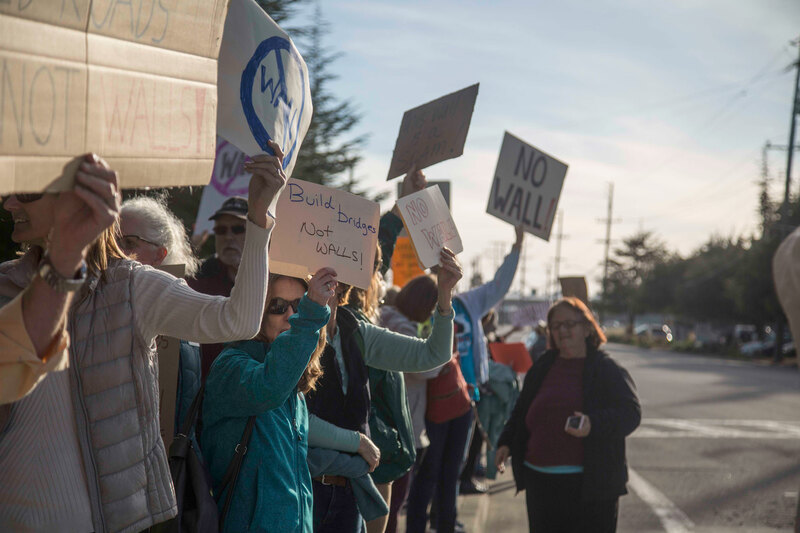 About 150 residents gathered in Watsonville Plaza on Tuesday to protest Granite Construction, a company that recently bid to be one of the companies contracted to build President Donald Trump’s proposed wall on the southern border. Bidders must submit their final proposals by March 10. 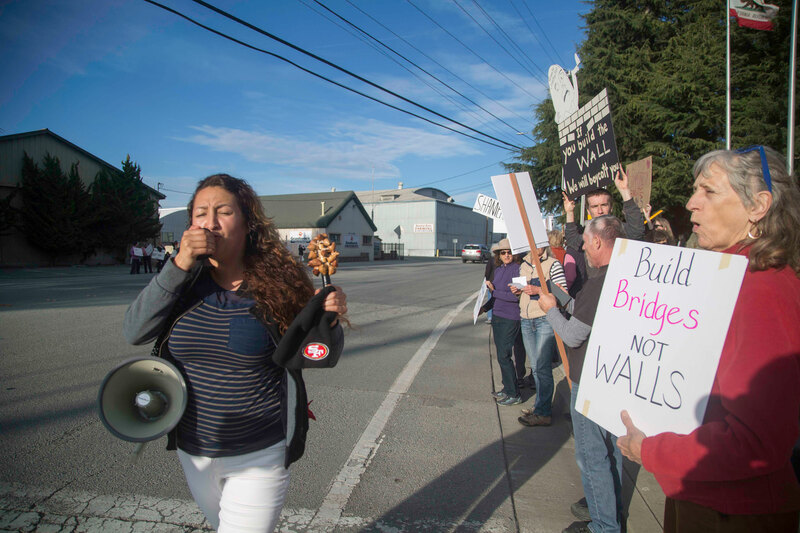 Watsonville Brown Berets, a Chicanx advocacy group, led the group on a march to the Granite Construction headquarters to denounce the company’s recent bid. 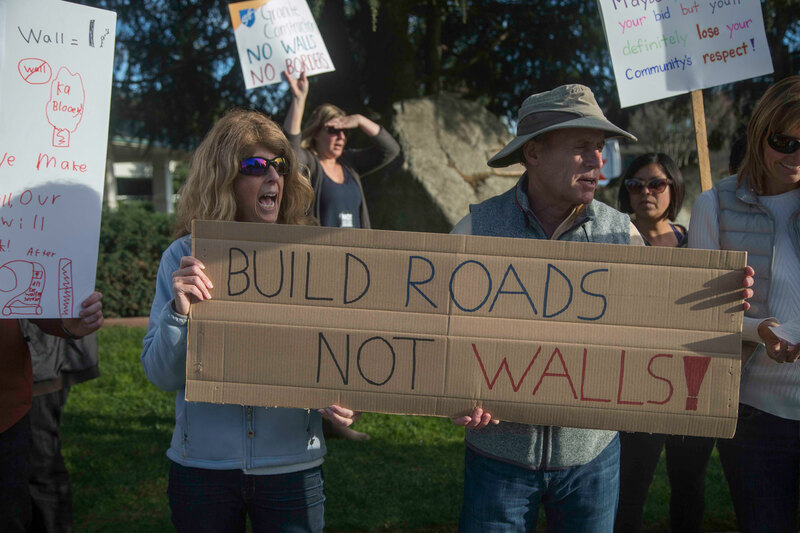 “We are here to peacefully protest for Granite Construction to reconsider and rethink placing this bid on Trump’s wall along the southern border,” said member of Watsonville Brown Berets Michael Joseph. Community members gathered in front of Granite Constructions, shouting rallying chants such as “Hey, hey, ho, ho all the walls have got to go — hey, hey, ho, ho from Palestine to Mexico” and cheering on cars that honked in support. “Watsonville has been an immigrant community since its inception, and we are also a sanctuary city and a sanctuary district […] It is contradictory,” Medrano said. 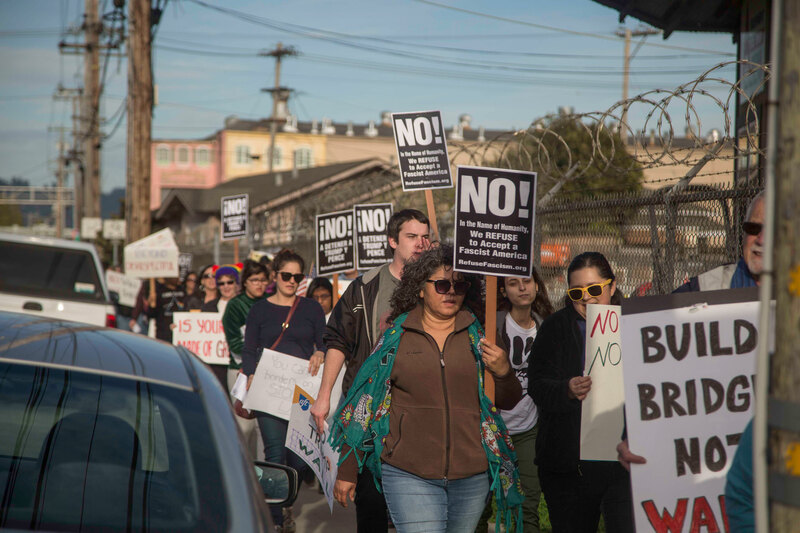 The organizers of the Watsonville boycott attempted to speak to a representative of the construction company but were unsuccessful. Granite Construction was unable to be reached for comment.